Many countries across Europe, including in the Western Balkans, have increasingly ageing populations. While the effects of this phenomenon differ according to how societies accommodate their changing demographics, old age is often regarded negatively and older people are regularly excluded from decision-making processes at all levels. “Taking Action on Social Inclusion of Older People” (TASIOP) is a three-year initiative to strengthen the capacities of civil society organisations (CSOs) working for and with older people in Albania, Bosnia and Herzegovina, the Former Yugoslav Republic of Macedonia, Montenegro, and Serbia. 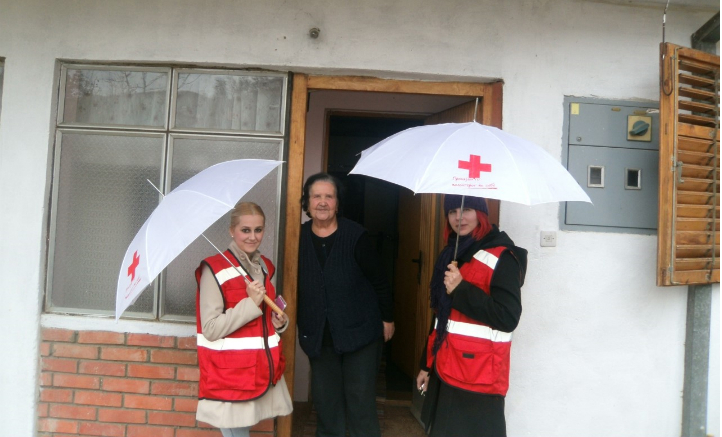 Running from 2016 to 2019, the project is coordinated by the Red Cross of Serbia with the support of the Austrian Red Cross. 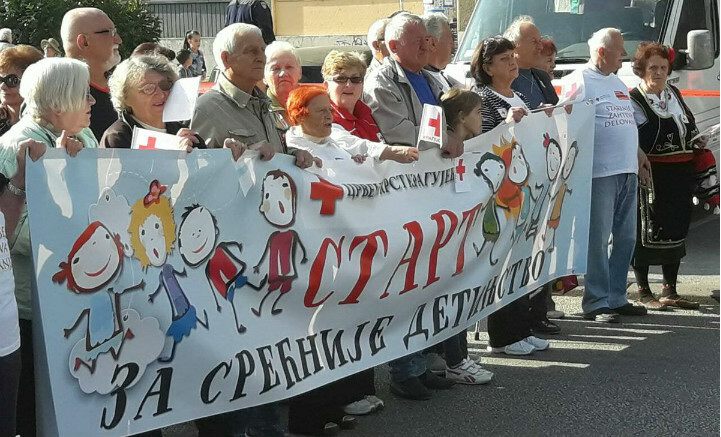 The Macedonian Red Cross, the Red Cross of Montenegro, the Albanian Association of Geriatry and Gerontology, and the Osmijeh Association in Bosnia and Herzegovina are project partners. In all five countries, CSO networks have been created and re-established through TASIOP. Fifty organisations have been united so far, including pensioner associations, women’s groups, and others working in the fields of social inclusion, lifelong learning, volunteering, and home-care. TASIOP has enabled the exchange of experiences and good practices at national and regional levels. For example, there have been national workshops to encourage network members to engage in evidence-based advocacy for older people, and a regional training session for CSOs on writing EU proposals was organised by the Austrian Red Cross in Bosnia and Herzegovina in June 2017. Engaging policy makers and the public in structured dialogue to enhance the recognition of older people’s rights is another important pillar of the project. Research into topics such as the quality of, and access to, health and social services for older people, as well as the factors that contribute to social exclusion, will be used in panel discussions and advocacy activities with stakeholders. Recommendations on how to create policies that are inclusive of older people will also be compiled to inform decision makers. Through events held at the local level, the project aims to encourage older people to get involved in their community and learn about the ways they can volunteer and contribute to community activism. In addition, a further 52 local initiatives will be supported by small-scale grants to address gaps in social and healthcare services and advocate the social inclusion of older people. The experiences, lessons learnt, and best practices will be summarised in a brochure and carried forward to a final conference with local, national, and EU decision makers at the end of the project. “This project is an opportunity for the voices of older people to be heard in all their diversity, leaving nobody behind,” expresses Ms Todorovic. “It also helps progress towards the Sustainable Development Goals – particularly Goal 3, ‘to ensure healthy lives and promote wellbeing for all at all ages’,” she highlights. TASIOP is supported by the European Union through its Instrument for Pre-Accession Assistance (IPA) fund, the Austrian Development Agency, and the Austrian Red Cross. More information is available at tasiop.org.